As readers, we have preferences as to the types of books we read. We have go to books we will read over and over again. That dynamic changes dramatically when you blog. Authors from every genre will approach you with offers of books to showcase on your pages. 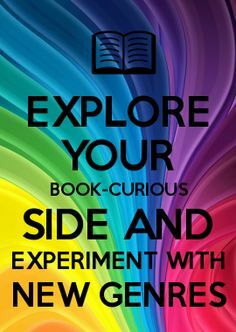 So I pledge to keep an open mind and explore many genres with the hopes that you too will pick up something you might not have normally chosen.